St. Joseph’s Orphanage and Rob’s Kids charities are the recipients of new bikes donated by the Cincinnati franchise of Business Network International. 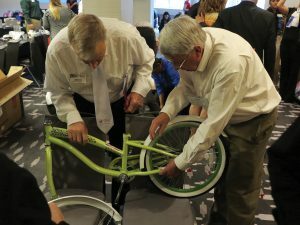 The bikes were assembled at a “Bike Build” station during the 2016 BNI U.S. National Conference, said BNI executive director Brennan Scanlon. BNI members donated them to St. Joseph’s Orphanage, represented by Brittney Carden, and Rob’s Kids, represented by its founder and executive director, Stephanie Potter. Rob’s Kids is an organization committed to helping children who struggle with depression and post-traumatic stress disorder. 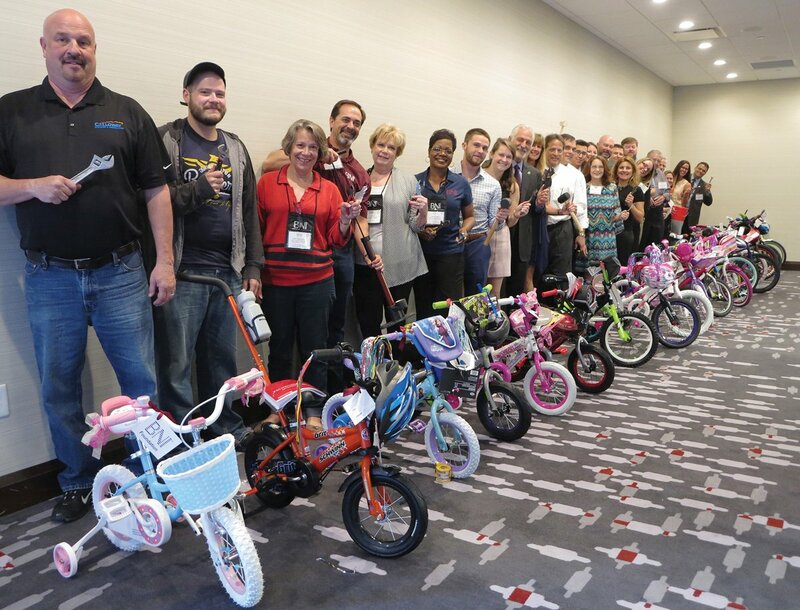 BNI CEO and co-founder Dr. Ivan Misner participated in the project, along with his wife and co-founder of Business Voices, Beth Misner, and 50 other regional directors. The BNI Foundation is made up of members from BNI, a business networking and referral organization. The Cincinnati & Northern Kentucky region has 1,100 members.